Belinda won the battle with this awesome snook….. and I even got it on video! She said she usually shells when she and Bob visit Sanibel from Islamorada in the Florida Keys but decided to fish this time instead. She still couldn’t help but feel around for shells with her toes while waiting for the bite on her line. Sit back and enjoy Belinda versus Big Snook (she gives all the credit to The Bait Box !) video and a beautiful bright orange SCALLOP find. But wait! We have more winners so make sure you scroll down after the movie. 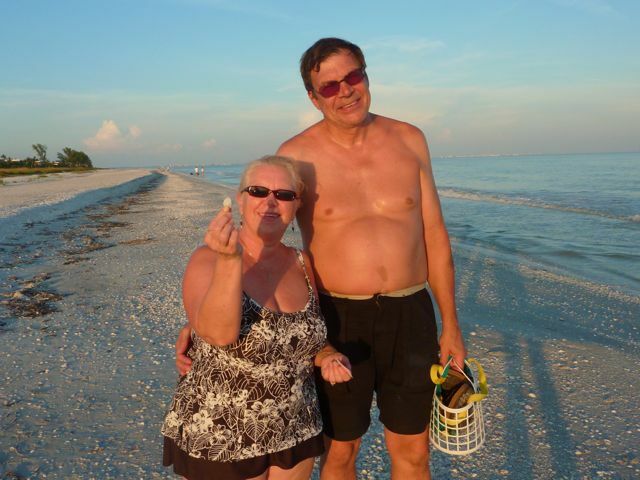 Ann and Paul (MN) felt like a big winners after finding a BABYS EAR near Gulf Side City Park. The same beach where Belinda caught (and released) her big bad snook. Winner of the Write From The Beach GiveAway ……..
Karen M. Wells !! Congratulations, Karen! And a big THANK YOU to everybody for leaving so many wonderful comments. This is just so much dang fun, I’ll have to start thinking of my next giveaway already. Determined little gal, determined big snook. Everybody won! And yay for Karen, lucky girl! Nice to see a fisherperson catch and release the right way. That was a nice looking snook and hopefully off to make some more little snook after the 1,000’s that were killed when the water went below 55 degrees last March. That video was so clear – your camera takes such great movies. Congratulations!!! I know how excited I was when I won the last give away. Pam, you are so wonderful to share with all of us who wish we too could live in PARADISE. Thank you for your generousity..
Judie- yay! Thank you! You can click on the link below to see all of the retailers that are selling my notecards. Most of them have websites so just click on the name of the shop that you wish and you can email them through their website. This is a very sloooow time for the businesses in Florida and the islands right now so any of them will be tickled to have your business …. and me too! You’ll make me look good! So take a look at these retailers and thanks again, Judie …..
boy that snook is big!!! congrats karen!!!! Congrats to Karen. She’ll love your beautiful cards! I love to fish so it’s nice to see another woman enjoying the sport! However, I won’t have a fishing pole in hand in 5 weeks. 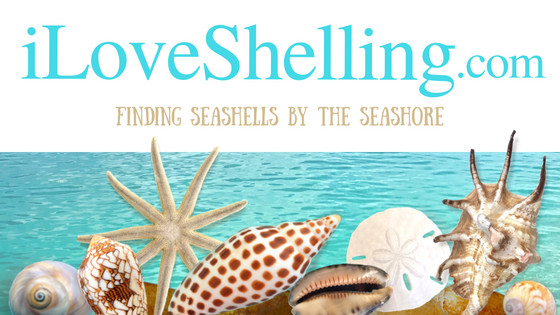 I’m totally after the shells!! I hope the snook recovered well. I once watched a man by the lighthouse pier walk with his snook for 45 minutes until it was strong enough to swim vigorously. A fly fishing teacher there told me you should walk your fish for the same amount of time as you took to pull it in. Karen’s must have been quite a toughie to swim away so quickly! I’ll have to show him the video today:) Thank you. I have heard of that lady before. She is a well known professional photographer from Islamorada. How much does she charge as fishing guide? I have heard her brother is a better guide but too expensive for most people. Is her name spelled Belinda Serata? I added a link to her website- jut click on her name in the beginning of the post and it will take you to all of her beautiful photos. She’s awesome!